This is the most recent information about Carl Douglas that has been submitted to amIright. If we have more information about Carl Douglas, then we provide a link to the section where it appears (the actual page whenever possible). "Kung Fun Fighting" originally "Kung Fu Fighting"
Fighting can be fun, especially kung-fu fighting! "Kung Fu Righting" originally "Kung Fu Fighting"
"Kung Fu Lighting" originally "Kung Fu Fighting"
"Kung Fu Sighting" originally "Kung Fu Fighting"
"King Fu Fighting" originally "Kung Fu Fighting"
"Kung Fu Fighting" "Bum-to-Bum Fighting" Robert D. Arndt Jr.
"Kung Fu Fighting" "Outdoor Spanking" Robert D. Arndt Jr. He's talking about the people doing the kung foo fighting. Referring to them as cats as it was a popular term for cool guys at the time. Kicks is just too obviously descriptive. It's a song not a recipe. A martial-arts classic that ends its refrain on a lethal note. Oooo - Oooo - Oooo, Oooo - Oooo - Oooo, Oooo - Oooo - Oooo, everybody was Kung Fu Fighting. The #1 hit from December 1974, "Kung Fu Fighting" started a huge mini-craze, that would be seen during much of 1975, of taking martial arts moves onto the Disco dance floor. 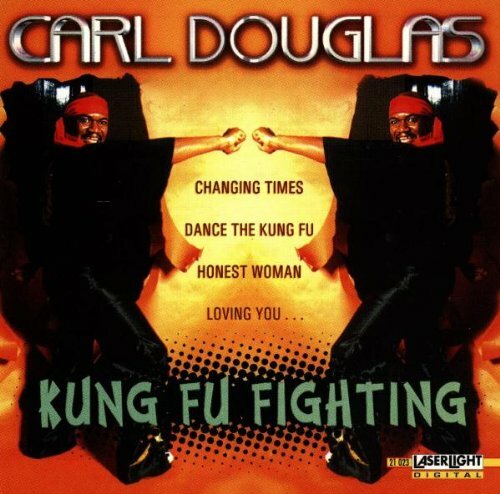 And it was started by Jamiacan born Carl Douglas (born 1942) and his song "Kung Fu Fighting". Carl Douglas currently lives in Germany and runs a publishing company. "Tug Huffing King" originally "Kung Fu Fighting"
"Gun Thug: Fig Fink" originally "Kung Fu Fighting"
"Fight Fungi Gunk" originally "Kung Fu Fighting"
"Gifting Funk? Ugh!" originally "Kung Fu Fighting"